It's one of WWE's biggest and most popular events of the year, jumping starting the road to WrestleMania, so what has Vinny Mac got in store for us this year? Let's have a look, shall we? It's the match that get's everyone talking! Who is going to eliminate the most people? Who is going to last the longest? Will there be any surprise entrants? And most importantly...Who is going to win and main event the biggest show of the year, WrestleMania? Here we'll take a look at the bookies favourites (We used the best odds from www.oddschecker.com) and consider their chances of winning it all! Ziggly puff has been on a bit of a run as of late, getting a lot storyline attention in his battle against The Authority, as well as a number of runs with the Intercontinental Championship over the last few months. I wouldn't be surprised to see Ziggler enter early in this one, possibly even Number One, the role would suit him well and fit nicely with his continuining feud with the Authority. However, whilst I see The Show-off playing a big part in the match itself, I would be extremely surprised to see him pull out a victory. Ambrose picked up a big victory over Bad News Barrett on Monday Night Raw. Ambrose had two major feuds last year, including ATPW's Feud of the Year opposite Seth Rollins, however, despite The Lunatic Fringe's surge in popularity, he was more often than not on the losing end. In fact, Ambrose hasn't won on PPV since the break up of The Shield. Therefore I'm doubtful that we'll be seeing Dean standing tall at the end of the night. Ambrose needs some big wins heading out of WrestleMania, but I'm sure where he's going to fit into the event itself at this time. Orton lasted over 48 minutes to win the 2009 Rumble, eliminating Big Show, Kane and Triple H! Orton hasn't been seen on television since 3rd November edition of Monday Night Raw, after turning babyface on The Authority and ending up on the recieving end of a Curb Stomp from Seth Rollins. However, appearances on house shows at the end of December point to possible return for Orton at the Rumble. With the popularity of the "Outta Nowhere" vines now long since gone, I can't see Orton picking up his second Rumble win here. However, I wouldn't be surprised to see him costing Seth Rollins the WWE World Heavyweight Championship, either during the match or during a Money in the Bank cash-in. Certainly the "IWC"'s pick to win the Rumble, but what do they know, eh? Bryan missed nearly 9 months of action following neck surgery and has returned with some impressive performances against the likes of Kane and Bray Wyatt on television recently. Bryan winning the Rumble would be met with almost complete acceptance from the audience and a title match against Brock Lesnar at WrestleMania could be a triumph of storytelling, however it does run the risk of ending up a little too similar to the previous years show. WWE was reluctant to pull the trigger on Bryan last year, so it'll be interested to see if they put their faith in him for the second year running. The outright favourite to win the Rumble, Roman Reigns appears to have been handpicked as WWE's next "Chosen One", protected for a long time as a member of The Shield with a series of dominant performance, including breaking Kane's elimination record at last year's Royal Rumble event. Probably since last years WrestleMania, Reigns had been my pick to win the Rumble, he does seem to posses all the qualities WWE goes after in a leading star. 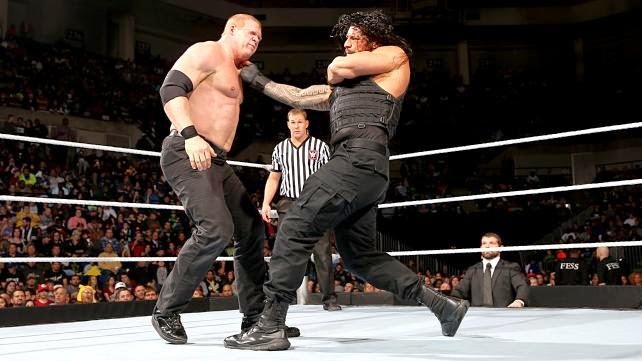 However, missing three months of action following surgery on an incarcerated hernia have cost Reigns some of the momentum he had heading out of a victory over Randy Orton at SummerSlam and feud with Big Show that no one asked for hasn't helped The Powerhouse either. Reigns is still my pick to win, both because I think WWE will go with Reigns over Bryan and because I think they should go with Reigns over Bryan. For years WWE was criticised for not attempting to make new stars, this is a big opportunity to turn Reigns in a bonafide star. Notice something about all the favourites? They're all babyfaces! Yes everyone loves a feel good Rumble, but what if John Cena pulls out the victory in the World Heavyweight Championship match? Perhaps Rusev (18-1) could be the best option, the character alongside Lana is over and has momentum, but perhaps a Mania main event could be stretching it. How about Bray Wyatt (20-1) who's only lost one match on TV since returning in November? Could Triple H (25-1) get involved in the Rumble this year? It could tell an interesting story of The Authority stacking the deck, but I doubt we'll see The Game in the title match at Mania. Speaking of The Authority's Big Show and Kane trail behind at 40-1, and although I see dominating performances from both men again this year, neither would seem capable of WrestleMania main event status at this point in their careers. Rounding off the heels is Adam Rose (bizarelly at 50-1), maybe if all the Exotic Express enter as well, he has a chance? The Stingers back! But has he got his eye on the gold? 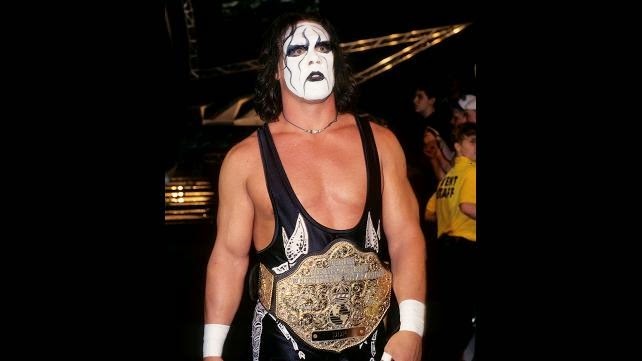 At the back of the babyface pack, how about the man that made his Monday Night Raw debut this week, Sting! (25-1) If Sting does enter the Rumble the roof may very well leave the Wells Fargo Center, however I think it's much more likely that we'll see Sting facing off agaisnt Triple H, rather than chasing the title come WrestleMania. Current NXT Champion Sami Zayn (33-1) and Adrian Neville (50-1) could also end up being surprise entrants, we've seen both Bo Dallas and Rusev turn up in the Rumble over the last few years, and both men have proved extremely popular over on NXT. However, I wouldn't get your hopes up for a WWE vs. NXT title showdown at Mania. Finally, there's that bloody rascal Ryback (35-1), who's had his own trouble with The Authority. If WWE really want to CM Punk spontaneously combust, they'll have The Big Guy win and main event WrestleMania. 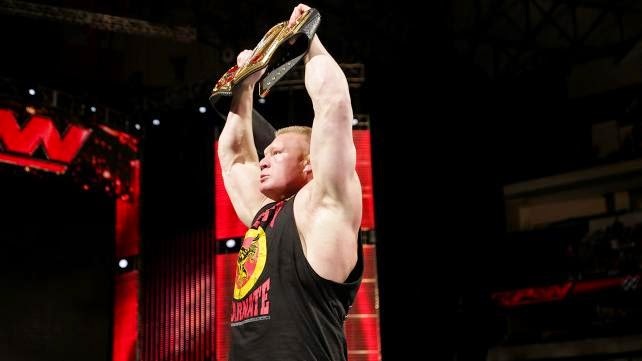 Brock Lesnar (4-9) has been one of WWE's best used assets over the past 12 months, used sparingly and making it feel like a special occasion every time he appears on screen, with Paul Heyman crafting some excellent promos to keep the story ticking. Even with rumours that Lesnar could be heading back to MMA (either for UFC or Bellator), I'm expecting him to hold onto the title until WrestleMania, mainly due to that being the biggest stage for him to give back and pass on the rub that he recieved from The Undertaker last year. John Cena (12-5) would, of course, be more than capable of main eventing another WrestleMania with the title around his waste, but I feel Cena has much more to give in a separate "main event level" match on the card. Seth Rollins (13-2) is the dark horse of the match, and I do expect we'll see Rollins attempt to cash in his Money in the Bank briefcase directly after the match, with Randy Orton potentially making his return to thwart Rollins' attempt. Based around The Miz attempting to get Jimmy Uso's wife Naomi a job in Hollywood, this has been a rather inane storyline over the past two months or so, but at least it's a storyline for the tag division. The duos have faced off in numerous combinations recently with the results ranging from dull to not bad, and therefore I haven't got my hopes up for a tag classic here. The Usos (2-7) would appear to be the favourites having only won the titles from Miz and Mizdow (7-2) at December's TLC: Tables, Ladders, Chairs...and Stairs PPV. I'm seeing a Miz vs. Mizdow match at WrestleMania (possibly a Pre-Show Lumberjack bout?) following some shenanigans involving the two in the Rumble, so if they do win back the titles here, expect them to drop them pretty sharpish, either on the preceding Raw or the next PPV, Fast Lane. ATPW's Pick - The Usos to retain. I'm half expecting this one to get turned into a Fatal Fourway. It just seems an odd decision to have a Diva's tag match on a PPV. But again, at least these ladies have been given some time to develop an intriguing feud and add depth to their characters, Paige especially has excelled over the last month or so. If this match is given enough time and focuses on telling a story, then I think it could surprise a lot of people. Paige & Natalya (8-15) would make sense as winners here, and would allow for something interesting develop heading into WrestleMania, however I wouldn't be totally surprised to see one cost the other the victory and allow The Bella Twins (6-4) to walk out victorious. If this match does get turned into a Four-Way then I wouldn't be shocked to see Brie Bella walk out with her sisters title. The New Age Outlaws joined forces with The APA, Kevin Nash, Scott Hall and X-Pac to take out The Ascension on Monday Night Raw. After a month of mouthing off about being the Most Powerful Tag Team in WWE History and running down the likes The Road Warriors, Demolition and The Powers of Pain have The Ascension (1-6) met their match in the New Age Outlaws (5-1), who are, of course, reknowned world over for their power. This is a non-starter, isn't it? 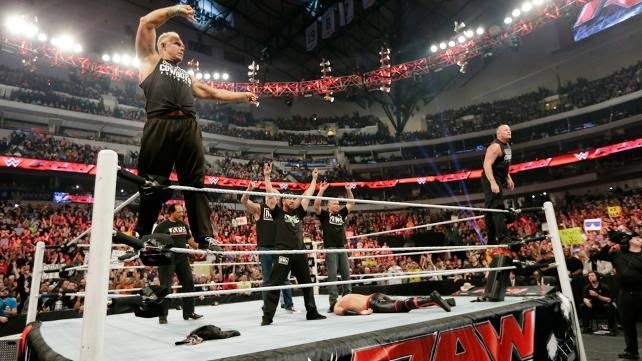 The Ascension will dominate, New Age Outlaws will have a comeback, before finally falling to The Fall of Man. It's simple, but could prove effective for The Ascension. There's a bloody lot of tag matches on this show, isn't there? Especially when you take into account that Adam Rose, Cesaro and Tyson Kidd (5-2) will take on The New Day (1-3) on the Pre-Show. I wouldn't say I'm particularly hyped about any of the undercard, an Intercontinental Championship rematch between Bad News Barrett and Dolph Ziggler could've really brightened it up a little and I expect the first hour and half of the show to draaaaaag. However, I am looking forward to the WWE World Heavyweight Championship bout, as their seems to be a lot of possibilities with the three guys in the ring and the build up has been strong and, as always, I'm hyped for the Royal Rumble, because it's the Royal Rumble and I'm intrigued as to whether WWE will side with Daniel Bryan or Roman Reigns to headline WrestleMania XXXI. See you tomorrow for the review!